Leading well in life doesn’t come by default, it only comes by design, through a determined effort on our part to actually make something happen. I can pray like it depends on God but I must still work like it depends on me. Push through the crowd of normalness. A post-it on the fridge is one thing, acting on it is something else altogether. Lots of people want change but are unwilling to put the effort in. The same power was available to everyone yet she was the only one who saw the change because she was the only one willing to ‘reach out from the crowd’. Stay in faith. Don’t back off, keeping leaning in. Keep praying and keep working. There were plenty of opportunities for her to back away and not follow through with this crazy idea, yet she stayed in faith. Never lose hope that the breakthrough, the success, that thing you desire to see happen will happen. Remember, nothing changes unless something changes. When you have been stuck for 12 years it can be easy to just accept this as the way things will always be. The change we want can come miraculously but more often than not it is attached to some change we have to do ourselves. Weight doesn’t fall off in a miracle, we play our part. Debt doesn’t disappear with a prayer, there is some change needed from us too. Be a person who leads well in life. Keep pushing forward on your 80 day goals. Be determined, don’t give up. 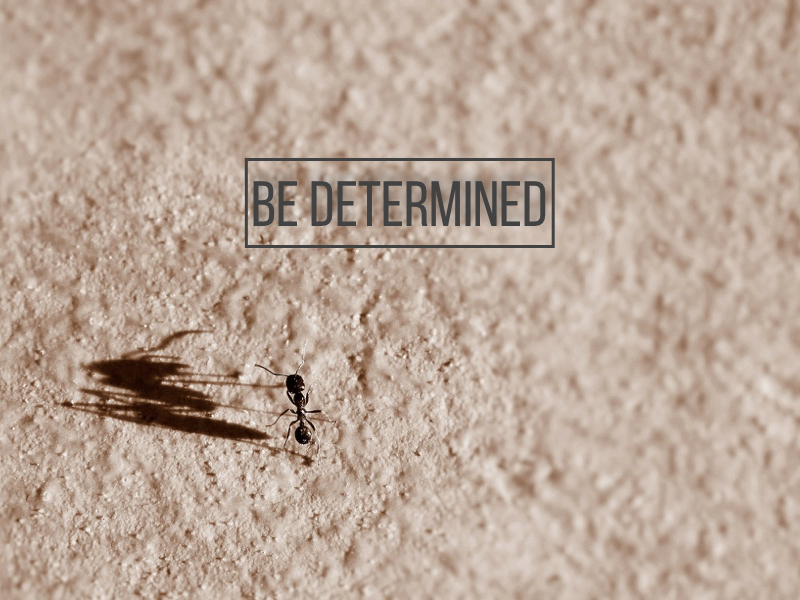 How is your sense of determination? What gets in the way of you seeing your preferred future actually happen?